It’s My Birthday and I’m Giving Away Damselfly Inn to Celebrate! 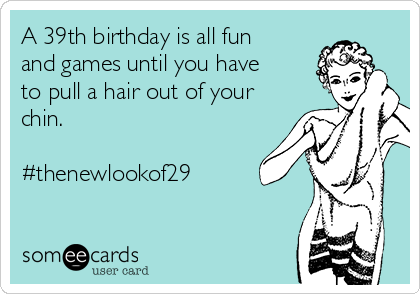 According to my mother-in-law, I cease to age today. Pretty good deal, I guess. Honestly, I’m not too fussed about staring down 40, (except for maybe those pesky wrinkles around my eyes and smile — turns out I’m a little vain about those). Truthfully, a great many of my friends, the women in my family, and my tribe of authors have rocked or are rocking their 40s pretty hard. I am psched to join their ranks. To celebrate this auspicious birthday, Damselfly Inn is free for your Kindles and Kindle apps until Sunday (Which is my dad’s birthday. Family partying! ), and there’s a signed paperback to give away as well (just keep reading!). Tell your friends! Your mothers-in-law! Your dads (if they’re into romances)! I want to move to Thornton! Despite the lack of aliens in time-and-space-traveling phone boxes, this was a pretty swell book! Where can I get the recipe for Kate’s chocolate-cherry cookies? Easy! What better gift? You guys are fantastic! Now, back to finishing up Sweet Pease, so we can all go back to Thornton. And if you made it all the way to the end? I’m giving away a signed copy of Damselfly Inn!. I’ll inscribe, sign, and mail it off to you or your recipient of choice anywhere in the USA. Just leave a comment here by April 27th, and I’ll pick a random winner using highly advanced techniques which will probably include letting the Not-So-Small Boy draw a name from a hat. Or a Lego bin. We’ve got loads of those. And I forgot to ask anyone to take pictures or record any of it. I am seriously the world’s worst marketer. Sometimes important things happen and I’m just unable to blog about them until the dust settles. Last Thursday was one of those times. Well, that and I have no photos to speak of, and we all know: pics or it didn’t happen. It took a few days to come down from the heady cocktail of terror and elation that accompanies any kind of public appearance, and then — funny thing — life goes on, and you go on with it. I’m no stranger to getting up in front of a crowd. Vocal recitals, choral performances, musical theater (Dear lord, dancing. If I can do a kickline in front of my peer group at 17, two left feet and all, I can launch a novel.) … But it had been a while, and there was a zit the size of Montana on my chin. Reason enough to be a straight up mess. Hand to heart, I packed all my books and promotional stuff, and whatnot into the back of my car, and headed out for the signing, only to have a full fledged panic in the car because I was convinced I’d not only forgotten to lock the front door, but left it standing wide open, with only a pug dog behind a baby gate to keep intruders at bay. Lucky for me, I was able to call someone to confirm that my front door was, in fact, thoroughly closed and locked. That whole interlude did not help with the racing heart, the sweating palms, or the feeling that the zit on my chin was a cousin to Rudolph’s nose. Here’s the actual reality: People were there, some of them people who saw the feature article in the local paper. Friends and family made their way to my hometown library to listen, to support, to buy copies, to hear my thoughts on writing and publishing. I felt welcomed and loved, and it was a wonderful night. I even managed to forget the acne and the sweaty palms. I can’t wait to do it again. Yay! Awkward sign board selfie! Thank you to everyone who came out. I’ll see more of you next week as I take my show back to my alma mater, and across state lines! Damselfly Inn, releases today. It’s official. It’s all for you now. I hope you fall in love with the town and its people like I have. The book is available right now both in paperback for Kindle/Kindle app on Amazon. Readers abroad, the book is being released in all of Amazon’s foreign markets, too! You can also order a signed copy directly from me. Want to hear me work on my public speaking? Upcoming Author Events Are a Thing. Buy the book. For yourself, of course. Or not. Not your genre? Buy it for someone who’ll enjoy it. For a friend. For your mom. Your neighbor. A stranger. Books make great gifts, and Amazon even has a Kindle book gift option if dead trees and ink aren’t your pleasure. Neat, huh? Review the book. It can be daunting, but it’s so very helpful. Reviews and ratings are a kind of currency for authors, especially on Amazon. Goodreads.com is another great place for reviews. Reviews open doors for promotion and marketing opportunities. Reviews tell other readers what they can expect from my books. A review doesn’t have to be complicated: just be honest about your experience with the book. Not feeling eloquent? Star ratings are awesome, too. Talk up the book. Tell people. Your book club, the cashier at the grocery store, the local librarians, booksellers. Word of mouth from readers and shoppers goes a long way towards getting my books into brick and mortar establishments. Promote the book. Do you blog? Are you on Facebook? Twitter, Pinterest, Instagram? Share book links, images, and reviews. Tag me so I can interact with readers – and thank you! Your influence matters, and I will be eternally grateful. Nan Grady was tracing glossy lettering across a misdirected postcard when her house split open. Greetings from Myrtle Beach S.C.! The card was a vintage-styled one, with each drop-shadowed block letter featuring a scene from the beach. She turned it over to read the note, to mull over the intended recipient. The handwriting was young – full and looping. The postcard was addressed to Danny B. (heart, flower, star), 203 County Road, Thornton, VT. It had arrived that afternoon, nearly lost in the myriad catalogs, flyers, and bills in the mail. Something about the sender’s bittersweet tone gave Nan pause. She carried it upstairs to her apartment, meaning to drop it in her purse for her next run into town. She suspected Gary at the Thornton Post Office would know exactly who Danny B. was. Myrtle Beach sounded like a perfect alternative to the late summer collision of weather fronts currently heaving itself down from the Adirondacks. Outside, the early evening sky had gone gunmetal gray, roiling with clouds. The rain was static, punctuated by sharp cracks of thunder, and Nan could hear the wind buffeting the walls of the old house. The storm continued its tantrum as it drove eastward, rushing up to and over the Green Mountains like water over a spillway. Rain pelted down, blown nearly horizontal, and the huge maple tree behind the inn groaned in protest. There would be a mess to clean up in the yard in the morning. She’d come upstairs to wait out the thunderstorm in the snug comfort of her apartment over the garage. It was a disorienting feeling still, the newness of owning this grand old house, but living in two rooms that were only attached to it by the stairs off the kitchen, stairs whose walls framed the breezeway between the house and the garage. It was a heady feeling, though, owning the gracious yellow Victorian, opening it to travelers, hosting treasured memories, making a home for herself in this town she was quickly coming to love. Nan turned the card over one last time, imagining thick South Carolina heat and the light tease of sea-breeze. White heat lit up her living room, throwing everything into Hitchcock-esque relief for a heartbeat; when the thunder shattered the air no more than a half-second later, the lights blinked and the house shook with the impact. She was on her feet and running for the stairs, pausing only to grab her Maglite from the coffee table drawer, and the card fluttered, forgotten, to rest on the braided rug. A cold wind tumbled down from the third floor to meet her in the foyer. With a hard knot of dread already forming in her stomach, she raced up to the third floor landing. She yanked open the door to the Adirondack Suite with her heart pounding. The scene inside the room struck her like a fist. Rain was pouring in through the remains of the gabled roof, lumber and insulation hanging down like broken bones and torn flesh. The hot smell of ozone was fresh in the air. Shingles and debris littered the floor. The silk drapes whipped and snapped at the sills. A limb from the ancient maple tree that grew next to the house lay across the sleigh bed, its raw end sizzling.